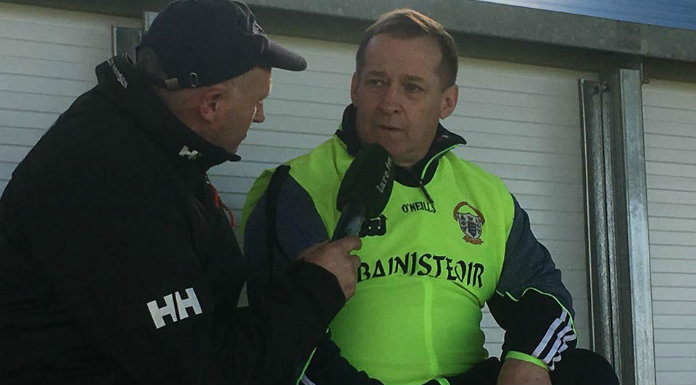 Clare Senior Football Manager Colm Collins says he felt yesterday’s game against Armagh should not have gone ahead as the pitch was unsafe. Collins flagged his concerns with the pitch, which he felt was still frozen, with match officials before the game. When it went ahead, Kilmurry Ibrickane man Dermot Coughlan sustained a dislocated ankle in the game’s first minute, an injury that’s likely to see him sidelined for some time. Clare went onto salvage a draw in the game, 2-10 to 1-13, thanks to a late goal from David Tubridy. But afterwards, Collins said he wasn’t happy that it had gone ahead at all. Elsewhere in Division 2 this weekend, Donegal defeated Meath, Kildare overcame Cork and Tipperary drew with Fermanagh. In Division 1, there were wins for Kerry, Roscommon and Mayo.